See how your locally confined messages in video clips, audio files and audiovisual media are better delivered to your audiences when translated and localized by CREDENTIAL’s video translation, audio translation and multi-lingual video editing services. CREDENTIAL’s professional linguists transcribe audio sources and time-stamps the transcriptions for translation into subtitles in multiple target languages, taking into account audio-video synchronization and text expansion and contraction. CREDENTIAL hires professional voice artists, taking into account gender, age band, specialty of voices, and budget, to perform at in-house recording booths. For visual products of broadcastable quality, CREDENTIAL hires licensed voice actors affiliated with local broadcasting companies. For some target languages, translation of on-screen texts, special effects, etc. are essential to get your video localized and suit the culture of the target countries. This sometimes requires new videos recorded locally. Expect something marvelous out of this technology-intensive motion graphics services as CREDENTIAL boasts highly-professional, tech-savvy in-house team of bilingual 2D / 3D motion graphics engineers and seeks perfection in creating contents that best deliver the intended idea. Talented Asian voice artists and sound engineers specialized in Asian languages are just next to you. Get local and meet professional voice artists of desired gender, tone of voice, and career. A CREDENTIAL project manager puts together a successful team of voice artists to not only suit your budget, but render your project to perfection. CREDENTIAL’s in-house audio engineers work in company with the field’s professional engineers in a leasehold studio. Joining in after audio recording are CREDENTIAL’s in-house video engineers who weed out out-of-sync subtitles and dubs that may affect the tone and voice the original speakers intended to deliver. Understanding needs for new videos recorded locally to produce contents that pursuade local customers to purchase your products or services, CREDENTIAL has locally deployable ENG Crews in its team and records quality video sources that can be used to produce localized contents. Imagine how the motion graphics would be like if sophisticatedly localized texts are added. 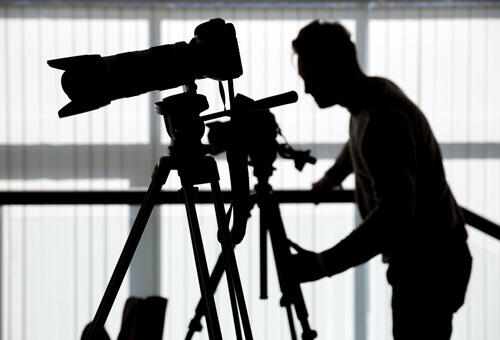 CREDENTIAL boasts professional team of bilingual videographers and seeks perfection in creating contents that best deliver the intended idea. For subtitles translation, accurate time-stamping is of absolute importance in achieving video-audio syncronization. Reach wider audiences by adding caption or translated subtitles to your video in a desired format. 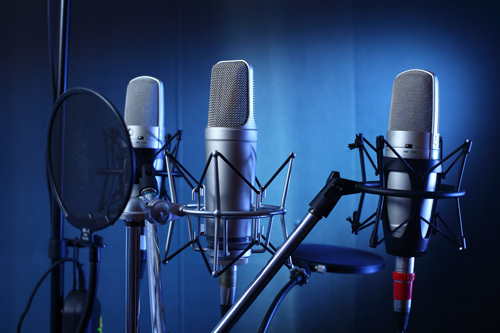 CREDENTIAL hires professional voice actors taking into account gender, age band, specialty of voices, and budget, to perform at in-house recording booths. In video translation, out-of-sync subtitles affect the tone and voice the original speaker intended to deliver. For audio translation, video translation and media localization, messages should be read natural not only in the target language, but in the culture of the target country. Translated on-screen texts are rendered back to become part of the original video. Transcreated messages are better communicated in the target locale(s) while maintaining the tone and context intended by the original texts. Spoken contents in video clips and audio files are transcribed and time-stamped to get video translation and audio translation ready. We know on-screen effects in the original video are also the way you communicate with global audiences. Linguists and copywriters collaborate to create compelling ad copies to be spoken / viewed in a target language in audio / video files. Reap the benefits of deploying Asian language professionals to linguistic works, and professional video editing. In many industries that require expansive footprints across the globe, smoothly localized contents help your business grow a step further. Pharmaceutical webinar localization and healthcare video translation into the languages of the target markets help your company reach out to the end clients across the world. Add captions, subtitles and translated visual description to the uploaded video files for search engine optimization (SEO) and improved web accessibility. For EPC vendors managing construction sites across the globe, eLearning video translation & localization save time, money and effort when training locally recruited employees. 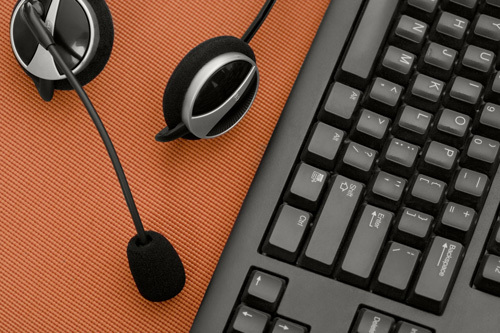 For your next web development project, take audio translation, video translation and media localization into account to index spoken contents for SEO.